Xiaomi Pocophone F1 VS Oppo F9: Which Is More Powerful? Home Comparison Xiaomi Pocophone F1 VS Oppo F9: Which Is More Powerful? Xiaomi Pocophone F1 VS Oppo F9, which is the best? 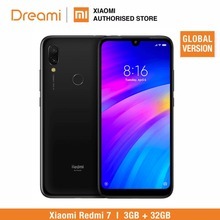 Pocophone F1 was recently launched by the subrand of Xiaomi which is ‘Pocophone’. This smartphone came with interesting and supercool features at quite an affordable price and we will be comparing it to the F9 by Oppo, its a budget friendly device with amazing features as well. But which of them is really worth it? Let’s find out. Have You Seen This? Samsung Galaxy M10 Vs A10: Which One To Buy? The F1 comes with a plastic body design. This device has a big notch and also a fingerprint sensor. The smartphone also has an IR based face unlock. While the F9 is made of Metal and Glass. This device has a waterdrop screen notch where the front selfie camera is visible and the speaker grill is barely visible with the seams of the screen at the top. The device also has tiny bezels and a fingerprint scanner at the back which has a glossy finish and a gradient color treatment. The F1 weighs 180g while the F9 weighs less at 169g. The F1 sports a 6.18-inch FHD+ IPS LCD capacitive touchscreen screen with a resolution of 1080 × 2246 pixels, the screen has a pixel per inch density of 403. While, the F9 sports a 6.3-inch FHD+ IPS LCD capacitive touchscreen with 1080 x 2280 Pixels in resolution and 400ppi. Have You Seen This? Vivo V11 Vs Oppo F9: The Water-drop Notch Is Here To Stay! The F1 houses a Qualcomm Snapdragon 845 chipset with an Octa-core processor clocking speed of up to 2.8GHz. The F1 has 6GB/8GB RAM and 64GB/128GB/256GB storage space. While the F9 houses the MediaTek Helio P60 (MT6771) chipset with Octa-core processor clocking at 2.0GHz. In the RAM department, the F9 has 4GB/6GB and 64GB storage space. For the Software, the F1 runs on the Android 8.1 Oreo operating system. While the F9 runs on the Android 8.1 Oreo operating system. The F1 has a dual rear camera setup of 12MP+5MP and a front/Selfie camera of 20 megapixels. While the F9 has a camera set up of 16MP + 2MP with a great front camera of 25MP with f/2.0 aperture. Have You Seen This? Vivo V11 Pro Vs Oppo F9 Pro: The Oppo F9 Pro doesn't stand a chance! The F1 is powered by a 4000mah Non-removable Li-Po battery with fast battery charging. While the F9 is powered by a 3500mah Non-removable Li-Po battery with fast charging. They are both great smartphones with amazing features, But I think the Pocophone F1 is a bit better than the Oppo F9, thanks to the Snapdragon 845 chip it comes with. Xiaomi Pocophone F1 Vs Mi 8: Is the Poco F1 a worthy competitor? OnePlus 6T Vs Xiaomi Pocophone F1: Snapdragon 845 Battle! Xiaomi Mi A2 Vs Pocophone F1: Which Is The Best To Buy? Xiaomi Pocophone F1 Vs OnePlus 6: Which Offers Value For Money? Previous articleTecno Pouvoir 2 Pro Vs Infinix Hot 6 Pro: Battery or Camera? Xiaomi Redmi Note 7 Unboxing & Hands-on Review: Too good for $179? Vivo V15 Pro Vs Oppo F11 Pro: See The Best One To Buy? Samsung Galaxy A10 Vs A30: Which Is The Best To Buy? Samsung Galaxy A50 Vs Redmi Note 7 Pro: Which One To Buy? Xiaomi Mi Mix 3 Vs Mi 9: Should You Upgrade To The Mi 9? Oppo Realme 3 Vs Redmi Note 7 Pro: Which One To Buy? Xiaomi Redmi Go Unboxing Review: The Perfect Android Go Smartphone? Sony Xperia 10 Vs 10 Plus: Which One Should You Buy?